Showcase your knowledge in science and talent in performing arts in this exciting and educational competition. Sign up now for a chance to win top honours and cash prizes! The International Science Drama Competition is an international competition aimed at promoting science through drama. While these two subjects couldn’t be more different, the combination has been very successful in encouraging primary school students to demonstrate their scientific knowledge via a creative outlet. This popular competition will see primary school teams from Malaysia, Singapore, China, Brunei, Thailand and the Philippines vying for top honours. Teams from the public are also encouraged to enter in the open category. 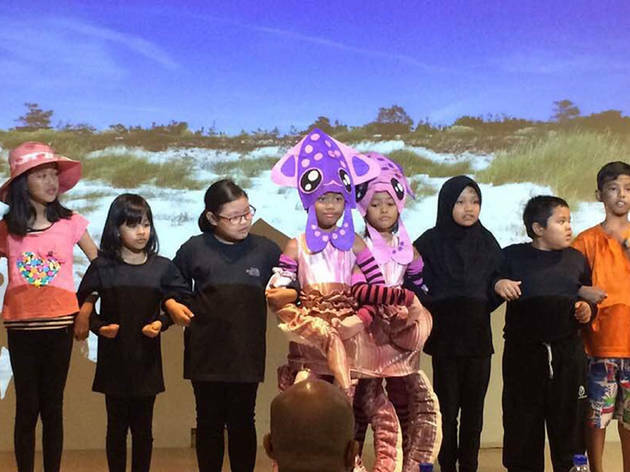 In 2017, Sekolah Kebangsaan Bandar Baru Bangi (pictured) placed second in the Primary School Category during the Grand Finals of the International Science Drama Competition on 3 June 2017. 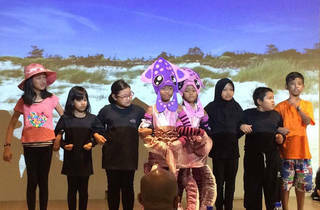 They won over the judges with their scintillating performance of titled ‘Creatures From The Depth’. This year, Malaysia plays host to the international competition, and aside from local teams, there will also be participants from around the region. There will be two categories to enter – Primary School Category (all participants must be current students at the same primary school) and the Open Category (no age limit, represent your school/organisation, or form your own team). Sign up now as registration closes on April 6! The Malaysian finals will be held on 30 June at KDU University College while the Grand Finals will be held on 14 July at the same venue. Each year sees a different theme being explored and this time around, the competition will be centred on ‘Science in Sports’. Doctors and scientists are constantly studying ways of enhancing performance and discovering new ways in which our bodies can perform better in competitive sports and physical activities. Participants in this year’s competition must focus on the science behind the sports through drama. - Each school / organisation may enter as many teams as they like. For detailed instructions and information head here. The closing date for all entries is on April 6 so start preparing now and go for gold!